A stay at The Sebel East Perth places you in the heart of East Perth, within a 5-minute drive of WACA and Perth Mint. This 4.5-star aparthotel is 2.3 mi (3.6 km) from Optus Stadium and 2.4 mi (3.8 km) from Hyde Park. Make yourself at home in one of the 57 air-conditioned rooms featuring refrigerators and microwaves. LCD televisions with cable programming provide entertainment, while complimentary wireless Internet access keeps you connected. Private bathrooms with showers feature complimentary toiletries and hair dryers. Conveniences include phones, as well as safes and desks. Take advantage of recreational opportunities offered, including an outdoor pool, a lazy river, and a fitness center. Additional amenities at this aparthotel include complimentary wireless Internet access, concierge services, and babysitting/childcare (surcharge). Featured amenities include a business center, dry cleaning/laundry services, and a 24-hour front desk. Planning an event in East Perth? This aparthotel has 527 square feet (49 square meters) of space consisting of conference space and a meeting room. Self parking (subject to charges) is available onsite. 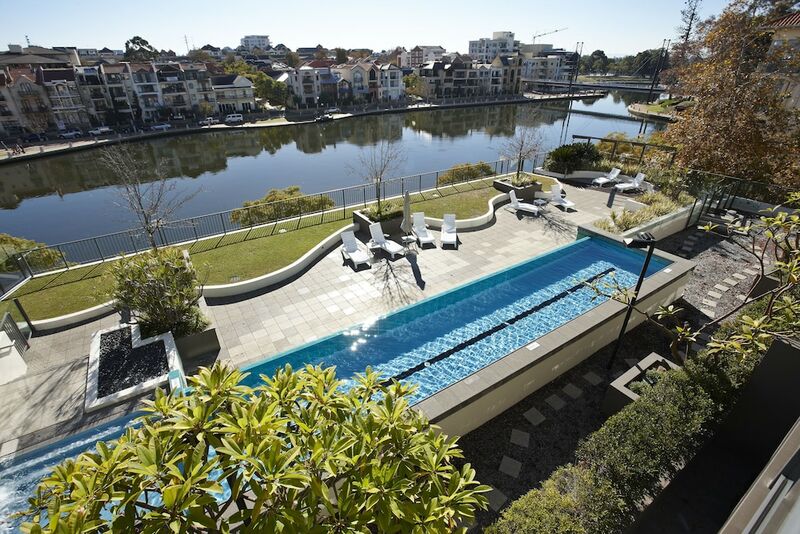 In addition to an outdoor pool and a children's pool, The Sebel East Perth provides a lazy river and a fitness center. The aparthotel offers a coffee shop/café. Business-related amenities at this 4.5-star property consist of a business center and a meeting room. Wireless Internet access is complimentary. Event facilities measuring 527 square feet (49 square meters) include conference space. This luxury aparthotel also offers a terrace, tour/ticket assistance, and barbecue grills. Limited onsite parking is available on a first-come, first-served basis (surcharge). The Sebel East Perth is a smoke-free property. An outdoor pool and a children's pool are on site. Other recreational amenities include a lazy river and a fitness center.